This is refreshing Lebanese drink that’s great for summer and great for the intestine. My cousin drinks a big cup every night to help with an ulcer. It’s served at restaurants in Lebanon or in homes when people visit. Adjust the thickness to your own preference. Mix all ingredients together in a pitcher and chill. Add more or less water according to your tastes. Serve with a meal or as a refreshing drink out on the patio. Note: Pretty much everything but the water and yogurt is optional in this recipe. The cucumber and mint really cool it down though. Oh yum! Although it is currently snowing – :'( – I am excited to try this once summer actually rolls around. Thank you for the recipe! I am going to try it! 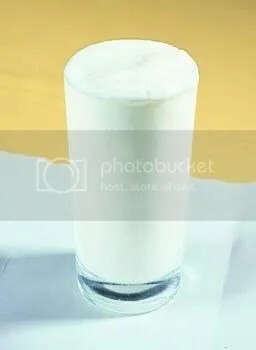 I was delighted to see this post… but after having just returned from a month in Turkey where this drink is served often, I have to confess that I found Ayran too… salty. Virtually everyone around me though, loved the drink. I’m so happy you made it here! There is another drink that is not Lebanese or Turkish, but Eritrean. You can blend yogurt, avocado and brown sugar. Settles the stomach and is surprisingly pleasant.